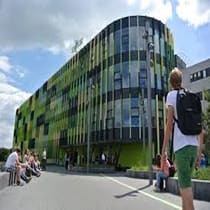 Hello my name is Emmanuel,I am a Nigerian and am a student of the university coordinator of saxion, I study international business and management studies. For now, international trainees may have a part-time job alongside their studies, but this was withdrawn in 2014 due to the fact that some students did not attend lectures, so now as an international student I can only study and apply for a specific job that I can do during my internship . I have been without a job for a year now and I have three years to live. my study means so much to me and I will be happy if I can achieve that. thank you and God bless you my first fundraising for my study.